Harold (Hall) Chestnut (November 25, 1917 – August 29, 2001) was an American electrical engineer, who contributed to the development of the fields of control theory and systems engineering. I should like to point out two other fields for serious attention by control people. These are (1) The need for 'optimizing the process of making automatic control', i.e. bridging the gap between theory and practice. (2) The need for working with qualified people in the social, economic, and political fields to help make the net effect of automatic control and automation a cause for hope rather than a reason for fear... The opportunities for a better world at peace make the challenge for using automation for the betterment of man one that is certainly worth working for. 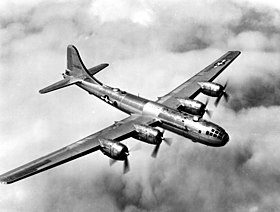 Chestnut developed the automatically controlled gun turrets on the B-29 aircraft... [and] the dynamotors that convert DC power for use around the aircraft as well as gyro instrumentation for navigation. Some of his work is still used in aircraft today. - Edison Tech Center, 2010. Engineers should press forward with development to meet the diversified needs of people. Those of us concerned with developing new technology should consider ourselves to have a major undertaking to try to meet the expanding needs of the increasing number of people in the world with its finite resources and environments constraints. The term closed loop-learning process refers to the idea that one learns by determining what s desired and comparing what is actually taking place as measured at the process and feedback for comparison. The difference between what is desired and what is taking place provides an error indication which is used to develop a signal to the process being controlled. Although control principles are not customarily associated with international relations, there may be some significant advantages in seeing how international relations may benefit by suitable use of control concepts and methods. Over the years, control engineers and scientists have learned how to use information processing and equipment, along with energy and materials to improve the performance of various systems. As control engineers and scientists, we have greatly altered the way people and nations live and interact with one another. We have helped to create a world in which people live longer, enjoy better health, are better educated, and can travel and communicate over greater distances. But the systems that provide these better lives are fragile systems subject to unpredictable failures and possible destruction. We have also helped to create a world in which international relations are such that the very civilizations we have helped to build over centuries can be destroyed in a matter of hours. Finding an alternative to supplement military ways of resolving international conflicts has been taken up by many people skilled in various areas such as political science, economics, social studies, modelling and simulation, intelligence and expert systems, military strategy and weaponry as well as private business and industry. Harold Chestnut, Peter Kopacek, Tibor Vámos (1989) International conflict resolution using system engineering: proceedings of the IFAC workshop, Budapest, Hungary, 5-8 June 1989. International Federation of Automatic Control. In a society which is producing more people, more materials, more things, and more information than ever before, systems engineering is indispensable in meeting the challenge of complexity. p. vii; as cited in: Joseph E. Kasser (2010) "Seven systems engineering myths and the corresponding realities"
Characteristic of our times are the concepts of complexity, growth and change. A model is a qualitative or quantitative representation of a process or endeavor that shows the effects of those factors which are significant for the purposes being considered. A model may be pictorial, descriptive, qualitative, or generally approximate in nature; or it may be mathematical and quantitative in nature and reasonably precise. It is important that effective means for modeling be understood such as analog, stochastic, procedural, scheduling, flow chart, schematic, and block diagrams. As is used in connection with systems engineering, a model is a qualitative or quantitative representation of a process or endeavor that shows the effects of those factors which are significant for the purposes being considered. Modeling is the process of making a model. Although the model may not represent the actual phenomenon in all respects, it does describe the essential inputs, outputs, and internal characteristics, as well as provide an indication of environmental conditions similar to those of actual equipment. A model may be pictorial, descriptive, qualitative, or generally approximate in nature, or it may be mathematical and quantitative in nature and reasonably precise. Simulation is the use of models and/or the actual conditions of either the thing being modeled or the environment in which it operates, with the models or conditions in physical, mathematical, or some other form. The purpose of simulation is to explore the various results which might be obtained from the real system by subjecting the model to representative environments which are equivalent to, or in some way representative of, the situations it is desired to understand or investigate. Simulation may involve system hardware and the actual physical environment, or it may involve mathematical models subjected to mathematical forcing or disturbance functions representative of the systems conditions to be studied. Models are used essentially for evaluation and prediction purposes as well as for the analysis and study of the different parts of the system so that the systems engineer or designer may arrive at sound engineering decisions regarding the system design. Each system is unique. However, by capitalizing on similarities we can reduce the time, effort, and cost for some or all of them, and thus the quest for formalized design methods becomes more attractive. Included in the problems of systems engineering are those of complexity and of choice. Of all the available facts about a system or the needs for a system, which are of most significance for the present circumstances and for their probable future course? How much information is needed and how should it be used to make a satisfactory decision, considering the time and resources available and the purpose to which these data are to be applied? Since most of the means of understanding which we as individuals use, or which are used by the automatic decision-making processes which we employ, are serial processes, we are continually faced with choices of how to divide the jobs to be done and to select an order or an arrangement for systematically handling the abundance of data which are available. System costs can be considered in many different ways. For example, the cost for making the system and the cost for operating it may be used as a basic for judging the total cost. The total cost may also be arrived at in another fashion, as, for example, the sum of the fixed cost, variable cost, past investment and other charges. Furthermore, in many cases where systems engineering is required several time phases are involved for which the cost factors may be significant, such as the study phase, the breadboard phase, the prototype phase, and the production phase. In addition to technical problems, systems also have organizational and logistical problems. Many different people may be involved over a wide physical or geographic coverage and over a long period of time. Many may work for different companies or organizations with different rules and methods of operating. Very many data and much knowledge are involved. The organizational problem concerns itself with the question of how all these people can work together most effectively for the common purpose. The process of formulating and structuring a system are important and creative, since they provide and organize the information, which each system. "establishes the number of objectives and the balance between them which will be optimized". Furthermore, they help identify and define the system parts. Furthermore, they help identify and define the system parts which make up its "diverse, specialized structures and subfunctions. Formulating and structuring a system provide methods for relating (1) what the system consists of in the mind of the persons or group desiring it; (2)what it means in terms of the persons or group designing and building it; and (3) in terms of the persons or groups operating, using and servicing it. They provide a set of "reasonable" parts and methods of relating them so that the many persons working on the system can understand the whole in sufficient detail for their purposes, and their particular parts in explicit detail so that they may contribute their best efforts to the extent required. A further purpose of system formulation is to recognize the magnitude of the job, including the possible pitfalls. Formulating consists of determining the system inputs, outputs, requirements, objectives, constraints. Structuring the system provides one or more methods of organizing the solution, the method of operation, the selection of parts, and the nature of their performance requirements. It is evident that the processes of formulating a system and structuring it are strongly related. From a pessimistic viewpoint, it can be stated that there is no good general way of structuring a system. However, from an optimistic point of view one can say that a number of good ways of structuring systems exist and that some are better than others for any particular system. In this and the following sections, there will be a presentation of a number of structuring approaches that have merit and have been employed successfully, including functional structuring, equipment structuring, and use of various coordinate systems. A perennial problem of any organization which is involved in systems work of a changing nature is the need for the organization itself to change as it adapts to new opportunities, new objectives, new equipment, and new people. The book [Systems Engineering Methods]... covers (1) the environment for systems engineering, (2) system organization, scheduling, and record-keeping, (3) formulating and structuring the system, (4) factors for judging the value of a system, (5) cost-estimation and cost-effectiveness analysis, (6) operational meanings and effects of time, and PERT-type network analysis, (7) reliability, and (8) future opportunities for systems engineering. It is believed that few subjects are covered deeply enough to make the book useful as a text or self-study guide without considerable supplementary reading. Edward H. Blum (1967) Review of "Systems Engineering Methods" by Harold Chestnut. Rand Corporation. [Chestnut] viewed life as one large control system that needed to be nudged from time to time to keep it running smoothly and on course. Chestnut worked on systems that run jet engines like the GE-90 seen here - Edison Tech Center, 2010. Chestnut's early control work concerned stability issues in electric power systems. The design and manufacturing of electric power system components - generators, transformers, motors, etc. was a major part of GE's activity then and now. During the Second World War Hal moved into aeronautics and ordinance divisions of the company and remained there until 1956. It was in the late 1940s that he wrote his first book. This pace-setting volume established his reputation as a leading figure in the international control community... Following retirement he concentrated on one of his long time passions in the control field - the potential for control concepts to provide insight into problems of international stability. It seems that his dedication to the use of control concepts in societal problems arose from his success in working with wary representatives from many countries to set up IFAC and with proud representatives from various US engineering societies to set up the AACC. On the personal level, Harold Chestnut is remembered as a quiet but persistent man. Once he determined something ought to be done, he worked until he found a way to make it happen. He viewed life as one large control system that needed to be nudged from time to time to keep it running smoothly and on course. He was a devoted family man who enjoyed hiking and sailing with his family, especially at their cottage on Schroon Lake in the Adirondacks. Harold Chestnut will be long remembered for his technical contributions to the field of systems and control, for his leadership in getting people from divers backgrounds to work together, and for setting up institutions that foster ongoing cooperation for the solution of engineering and societal problems.